With the emergence of individualized medicine — also known as precision medicine — treating a person as an individual and tailoring health care specific to that patient based on his or her specific genetic makeup improves the chances of a successful treatment plan. Developments in precision diagnostics are a critical driving force in reaching that goal at the Center for Individualized Medicine. Part of this process may come via molecular testing. A new study on melanoma by Mayo Clinic researchers highlights the important role molecular testing can play in the process. Because unique, personalized treatment decisions are being made based on molecular data, the collection and management of this data is gaining major importance. The pivotal challenge is to create workflow solutions for timely delivery of this molecular data. 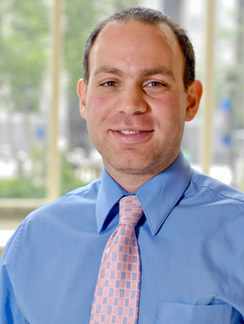 To that end, a recent study by Mayo Clinic researchers, published in the journal Human Pathology, aims to design and implement a scalable process that permits pre-appointment BRAF/KIT mutation analysis in melanoma patients. BRAF and KIT are genes shown to be mutated in melanoma and other human cancers. In the existing process at Mayo Clinic, when a patient visits for an oncology consultation, BRAF and KIT testing is initiated after the patient’s appointment, creating a delay in treatment decisions. In short, this delay in delivering a treatment plan can incur unnecessary costs, may negatively impact patient wellbeing, and may decrease efficiency of the physicians. The new process would allow molecular results necessary for treatment plans to be available before the patient’s appointment and, further, ensure delivery of BRAF and KIT mutation results at the time of the first appointment with a Mayo Clinic physician. For this study, why did researchers choose melanoma as a model in molecular data delivery for individualized medicine? “It’s the simplest possible example of a cancer scenario,” says Dr. Mounajjed. “With melanoma, you’re looking at one or two mutations, so the workflow is simpler.” A melanoma model was also ideal because of the limited number of care providers involved at Mayo and the relatively small number of patients, allowing testing of an easily scalable process using a small pilot group. After examining the existing process — which is essentially the current, standard process at Mayo and at other institutions — researchers created five working groups, each designing a specific segment of an alternative process that would allow pre-appointment BRAF/KIT testing and delivery of results. Each group held monthly meetings to identify points of delay in the existing process and devise scalable alternatives. During the one-year trial, 55 externally referred patients with metastatic melanoma had appointments. Molecular results were available at the time of the appointment 85 percent of the time. Further, because this new process streamlined overall workflow, the study’s success was not limited to cases in which testing was completed prior to the appointment: even in the instances where testing was completed after the appointment (40 percent), the treatment delay averaged 3.6 ± 3.2 days, a significant reduction in comparison to the original process. 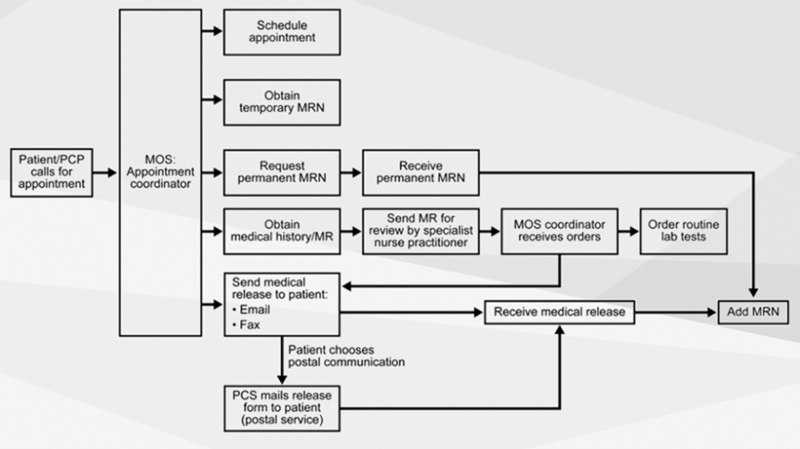 The new model allowed for earlier rendering of treatment plans, reduction of cost, increased patient satisfaction, increased efficiency of physicians, and an overall superior patient care. Its success was made possible by collaboration of multiple divisions and commitment of their leadership. Because the process only alters the timing of testing and data collection (performed before rather than after the appointment), the process was “revenue neutral” and thus did not impose additional costs. This proposed, scalable model in the treatment of patients with melanoma paves the road for similar processes in other conditions. Several cancers—especially breast, colon, and lung—and non-tumor diseases like peripheral neuropathy and neurodegenerative disorders, in which the current clinical practice uses a battery of molecular tests, can benefit from such solutions.